What are some good systems? It depends on how big the fans are. It's all about voltage and current needed to run them. I once read ther was a tent design that lowered the temp. by 20 degrees. It involved a tarp above the tent with a one foot spacing. This would cause an air flow between the tent and tarp. Just getting some fresh popcorn ,for now.BUT ,air circulation makes up for a lot of sweat and many good fans are made for RV's that run from solar direct or 12 volt battery. A small fan directed across you can do a lot and maybe you should look into a roof vent to open more circulation as hot air naturally rises and ventilation can often be fixed without use of power ...HINT for some I use are just auxiliary auto radiator cooling fans from a scrap yard. There is a large skylight but it does not have many clean edges so that installing a screen would be complicated. There are various springs and a gear where are you open it using a stick Turner. All those things create a jagged area. I installed an attic fan in gable end of my house, solar panel is mounted on an old direct TV satellite arm adjustable both ways.The sun hits it at 10 am runs until sun goes down. it is controlled by thermostat (72deg.) and fuse and works great.I picked up my fan and panel from backwoods solar. no batt. I know it was mentioned in another post that the goal zero system may be overpriced but this one for $600 (just battery) can charge a laptop 3 to 5 times. I am familiar with these so it is a place to start. What are some similar alternatives and is hooking such systems to panels a simple matter? I guess maybe anker was the better priced brand. About 30 amp hours,if compared to a 12 volt battery, as the 120,000 mah rating is very deceptive because it is a 3.7 volt main storage cell and depends on inverters to produce usable voltages for other devices with this you basically have 300 Watt Hours (I know that it claims 400 Watt Hours) of available power...300 watts for one hour....30 watts for 10 hours....enough to run one small (say 6 to 8 inch) fan for 10 to 20 hours or a good 20 inch fan for maybe two hours. Fans require a fair amount of power to move quantities of air and few quality fns are designed for 12 volt battery use. May I suggest you find the fans that you want to use for the job and work towards a power unit that will give 10 hours run time ,or more and maybe allow for a light or two ....though flashlights and portable lamps do work great also. You will have a far greater chance for success this way. I use fans like the links below and they do move a good bit of air for 'personal' use as while in a chair or in bed on a hot,power-outage night and they run off most any 12 volt battery BUT use about 1 amp so you get about the same number of hours use as the rated amp hours of a good battery or jump pack....for TWO of this fan I would suggest an 18 AMP HOUR battery though better to use one fan per 18 Amp hours of battery to add longer life to the battery as flattening them each day is not so healthy for the chemistry. During a power outage I used a 12 amp hour sealed lead acid battery to run one fan all night and was comfortable with a recharge in the morning from my larger solar panels/battery set-up. I don't know that one fan is better than the other and usually just buy the lower cost of these links as I usually keep a couple spares as I use some daily in my Ham shack for circulation. Surfvivor may I ask a personal question? Do you have any electronics experience? Please forgive I do not mean that in a catty way but as an honest question. I ask because then we know where to start. It is only my opinion and again please forgive my bluntness but it seems that in your posts you always tend towards the Goal Zero type equipment. From what I have read and what I have built it may be good stuff but you could build an equivalent setup yourself for a lot less. I got one of these Vornado Energy Smart fans last summer that has a high-efficiency brushless DC motor that runs off 24VDC transformer that plugs into the fan with a standard barrel connector. It's expensive but it does move air well and can be dialed down to really low speeds to reduce noise and energy consumption. Today I made up a DC power cord and played with running it off of 12V batteries and power supplies through a DC converter to measure the fan's current draw. At full speed it pulled 2.2A x 24.0V ~ 53W from the converter, which corresponded to 4.2A x 13.8V ~ 58W from the power supply I was using. At about 75% fan speed, which seems like the sweet spot in terms of noise and air flow, the fan pulled 1A x 24V = 24W. I have the exact same design with the traditional AC motor and it pulls 72W from the wall socket at full speed, although the DC model feels like it may move a bit more air at top speed. You could hook up two deep-cycle 12v batteries in series with a 24V solar charge controller and then run the fan directly off batteries with no conversion losses from a DC-AC inverter or a DC-DC converter. Looks like a good fan choice though I would not run it on high for extended periods. Yes, I mentioned goal zero may be over priced but it is something I am familiar with. I didn't say I was buying that necessarily but using it as starting point for comparisons. I took a digital electronics course 30 years ago, but I don't remember much of it. It may seem like easy stuff to grasp but I have so many hobbies, friendships, things to do and research all the way from trying to do martial arts, gardening, practicing guitar, going out with friends, keeping up with old friends, going surfing, cleaning my house, working out, shopping, going camping, band practice, fixing my car, working, learning new stuff for my profession, canoeing, going to church or temple, finding time to meditate, I am always juggling something and have limited time to figure anything out. When you get time ,you really need to add to your skill on such important things...until then,I would suggest you pay the high cost of the commercial made products and hope for the best....in this (power needs) case get the largest capacity and as many options to charge the system as you can and give us reports of the use,care,and advantages as I personally know of no one who uses the pre-packaged option...except for the USB/phone chargers. 400 watt hours is good capacity for most any of the 12 Volt DC operated fans as long as the 12 volt outlet is capable of 1 amp per fan used as many of the current power units do not use a 12 volt battery and electronics must 'step up' the voltage . I would suggest the 15 watt listed power level for fans as that power is needed to actually move a usable quantity of air.I used a small 12 amp hour battery to run a 6 inch oscillating fan for over 10 hours successfully and this is equal to about 140 Watt Hours of the rating on one of the power pack units ....so two fans over night is not out of the question with 'reserve ' power for LED lighting or cell phone recharge and I would use the recharge while mobile option or about 30 to 50 watt solar (costly) for daily planned use of the unit. The 12 volt lithium battery arrived today and the smart fan a few days ago. I have the smart fan plugged in to the battery AC plug right now and the fan is running. Depending on the fan speed it shows 40W output at medium speed or about 77W at high speed. 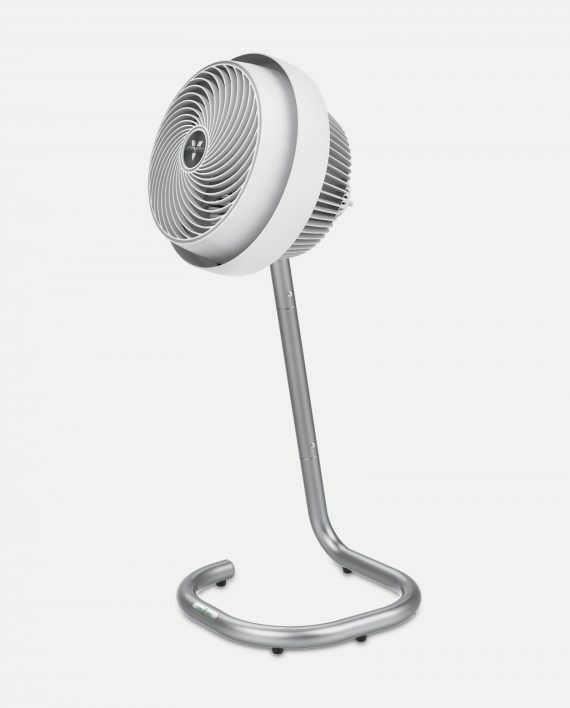 It is a very strong fan with a great deal of airflow. I also have the other much smaller fan that Carl recommended that runs on DC, but I don't think it is supposed to be used for DC and AC at the same time. This AC fan puts out plenty however as it is and would be good when it is very hot and the DC fan when the heat is more moderate. Any other recommendations for solar panels to use ? Thanks Carl, I'm up to 330 watts now. Today is the first day I have worked from home from my camper. I am using my 12 volt Suaoki lithium battery to power my laptop inside the camper. It is almost 4 o'clock and it's used about 3/5 of it's power to run my laptop all day based on the panel readout. It is hot out and I am running the fan on the camper skylight on low, however that fan is running off of the truck RV battery which is a totally separate battery from the lithium battery and also currently disconnected from the truck battery. May I suggest that you allow us to teach you some basic electronics? I mean respectfully if you are going to be a survivor and use this sort of equipment it would truly benefit you to learn the fundamentals. With a 60W solar panel, I am assuming you are in Maine like I am, to get the best power input place it about 45 degrees from the earth. You want it to be as close to 90 degrees to the sun as possible. This time of year you should get about 4.5 hours of optimum sunlight per day in Maine. Now if your battery is in Watts then the math is easy. Say a 240 watt battery receiving 60 watts an hour should charge in roughly 4 hours of optimum sun. Anyways I hope this helps unfortunately there is a bit of guess work with solar. I was going by what the console readout on the battery looked like when it was charging from the wall which took quite a while but showed much more watts of input. I thought I had it angled kind of towards the sun, but then I realized the sun was a bit more to the west possibly from where I had aimed it. I got the console to show 27 watts of input from the solar panel after further adjustments which seems much better. I have so many adapters and input options that this thing came with as well as the lithium battery, I was screwing around for quite a while trying to figure out why it appeared the solar panels were connected but the battery console was not registering anything. The lithium battery has a special solar panel input with +/- and an adapter for that and then a different input for single adapter. I ended up doing the charge on the single adapter. I am back from the dead....Sometimes you have to jiggle the handle as most 60 watt panels will only output 50 watts with the charge controller as the panel is usually rated at maximum current TIMES Maximum voltage and as we use 12 volt batteries with 20 volt panels ,,,the math will always be FUZZY. Also your indicator may be 4% charging PLUS powering of the device. Numbers can get in the way of enjoying solar power as they still don't add up. No strange cravings, I hope? For say... BRAINS?! ?